Now, I know that this Summer it is most likely that we won't be spraying on perfume that much due to excessive heat (especially with the heat wave that we have just been through), but saying that there will be days where I want to put on some perfume. Rummaging through my perfumes the other day, I found that I don't have enough summer fragrances to spray this summer and there are a few products that I'd love to try. This Summer, I am on the look for fresh, clean and rosy scents. The Maison Marigela perfumes smell and sound amazing! Currently, on my wishlist would have to be Beach Walk, Flower Market and Lazy Sunday Morning. They are all associated with the Summer time, I think they'd be perfect for this Summer indeed. 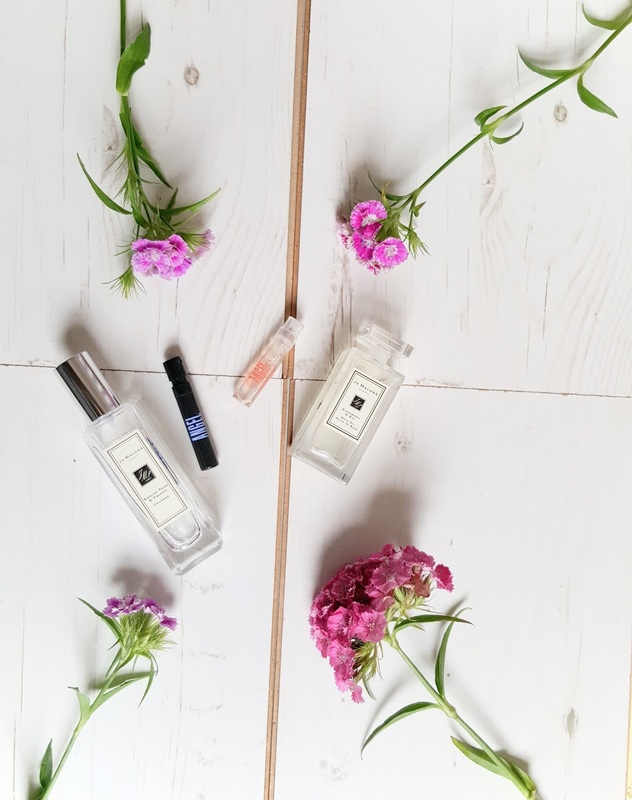 Of course, I have to talk about Jo Malone, what would a perfume post be without Jo Malone? I will always love the English Pear and Freesia which is a strong, floral scent, it is most likely that I need to purchase one more. 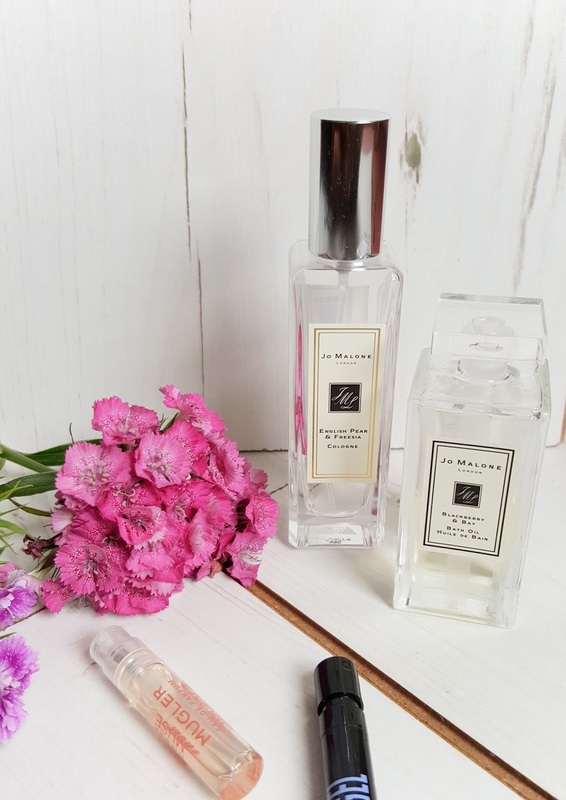 However, there are more Jo Malone fragrances that I want to try out this Summer - Wild Bluebell is the scent that has been on my mind since my hand and arm massage with them. It's such a fresh scent that reminds me of fresh sheets and lavender. The other fragrance that is on my mind is the Peony & Blush Suede which is another perfect scent for this Summer! The last perfume brand that is on my list is a recommendation from Lily, who shared her love for the Aerin perfumes with me. Once I saw the packaging, I fell in love immediately. The three scents that are calling my name have to be Lilac Path which is described to have an infusion of Galbanum, Jasmine, Soft Angelica Seed Oil and Orange Flower. Sounds like a perfect fragrance for this time of the year! The other fragrance that I have my eye on is Ikat Jasmine which is described to have Sandalwood. It isn't the type of scent you'd associate with Summer but I never fail to add in a few woody scents into the mix, it's an obsession. Thank you, Lily for the recommendation - my wishlist is growing. What are your summer fragrances this year?